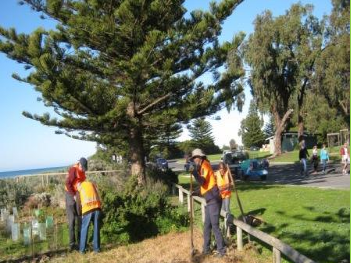 Each year the Rotary Club of Encounter Bay participates in tree planting. 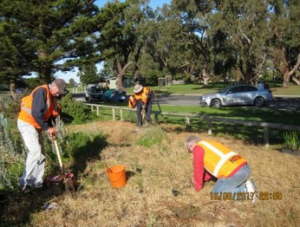 On Thursday the 26th July we participated in the planting 250 native coastal shrubs on the fringe of Kent Reserve. This is a continuation of the tree planting done in the previous year.